see it. capture it. interact with it. Capture creative portraits and outdoor scenes with depth effects on a 12 MP dual camera system. Search what you see with Google Lens™. Plus, enjoy an ultrawide 6.2" Max Vision Full HD+ display. striking portraits. stunning low-light shots. Capture artistic depth effects with a 12 MP dual camera system, big 1.25um pixels, a large f/1.8 aperture, and creative photo software. Plus, take better low-light selfies with an 8 MP front camera and a new screen flash. High res zoom automatically restores the details and image clarity that are typically lost with digital zooming.§§ So your photos look clear and detailed, even when subjects are far away. See the difference below: without (left) vs. with (right). Group photos are easier than ever with auto smile capture, an algorithm that triggers the shot when everyone in the frame is smiling. ** Plus, with Google Lens™, it’s like having an encyclopedia in your viewfinder. Compensate for low-light with a screen flash that triggers automatically for bright, clear selfies. Shoot dramatic timelapse videos with all the action whizzing past at 4x, 8x, 16x, or 32x speed. Shoot a timelapse video in motion and smooth out any unwanted shakiness with post-capture stabilization. Recognize landmarks, objects, foreign languages, and more with Google Lens. Unlock your phone with facial recognition software in the front-facing camera, or use the fingerprint reader on the back. Dolby Audio™ gives you more control over your sound preferences with preset modes for all sorts of content, from music to movies. Here are some of our favorite clicks from everyday moto g⁷ photographers just like you. 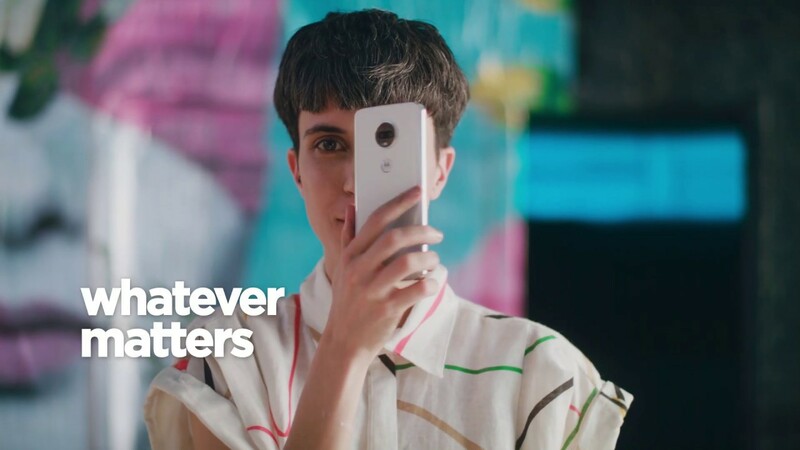 Go beyond photos with a creative 12 MP + 5 MP dual camera system, creative photo software, and Google Lens™. The moto g⁷ has a 12 MP dual camera system with AI-powered photo assistants, a 6.2” Max Vision Full HD+ display, and more. It’s available unlocked for major U.S. networks like Verizon, AT&T, T-Mobile, and Sprint, and Google Fi. Check carrier compatibility. Certain features, functionality and product specifications may be network dependent and subject to additional terms, conditions, and charges. All are subject to change without notice. MOTOROLA and the Stylized M Logo are registered trademarks of Motorola Trademark Holdings, LLC. Dolby, Dolby Audio, and the double-D symbol are trademarks of Dolby Laboratories. Qualcomm Snapdragon is a product of Qualcomm Technologies, Inc. and/or its subsidiaries. Corning and Gorilla are registered trademarks of Corning Incorporated. Android is a trademark of Google LLC. All other trademarks are the property of their respective owners. ©2019 Motorola Mobility LLC. All rights reserved. Moto G⁷ is designed and manufactured by Motorola Mobility, a wholly owned subsidiary of Lenovo. † Advanced water-repellent design creates a barrier to help protect against moderate exposure to water such as accidental spills, splashes, sweat or light rain. Not designed to be submersed in water, or exposed to pressurized water, or other liquids; Not waterproof. ** Auto smile capture can recognize up to 5 faces/people in the same frame. ‡‡ Performance comparison between Moto G⁷ and Moto G⁶, Antutu overall benchmark scores of 108,237 and 71,790 respectively.